We LOVE Wedding Season! And most importantly… Wedding Hairstyles! 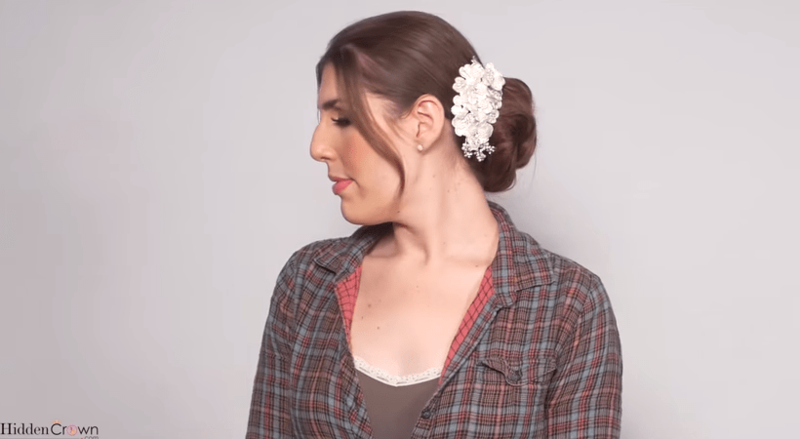 Brides deserve to look and feel their absolute best, which is why we created this beautiful Wedding Up-do tutorial on Dana for her wedding day! Step 2: Bonnie then rolls Dana’s hair into a small bun with a hair tie. She makes sure that the bun is secure and tight! Step 3: Bonnie then takes the Hidden Crown Hair extensions and rolls it into the shape of a bun! 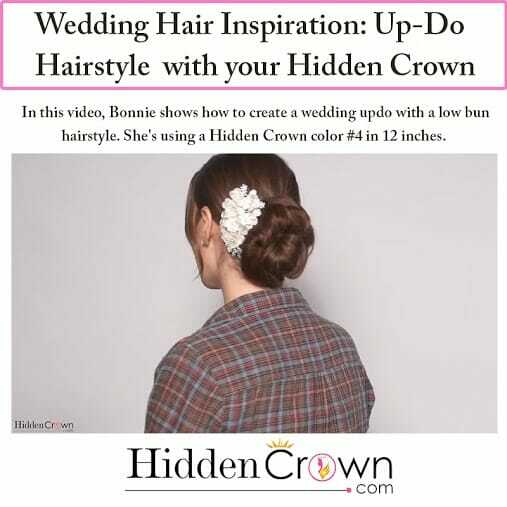 Step 4: Bonnie then wraps the Hidden Crown around Dana’s bun. She makes sure to secure it with bobby pins! With all the dancing a bride does, hair security matters! Pin away! Step 5: Last step! And the most fun step! Add a cute hair accessory! This gives the hairstyle the complete look. Bonnie placed a sweet, flowery hair accessory on Dana that gave the hairstyle instant elegance. Step 6: Okay… So we lied. There is one more step. The final step is to have fun and feel confident! If you are actually planning to wear this hairstyle for your wedding day, remember to dance the night away and enjoy the love from friends and family! 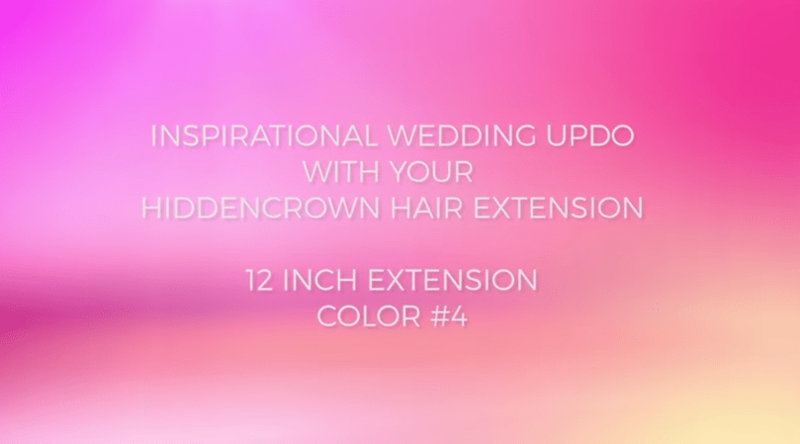 Hidden Crown Hair Extensions definitely make you appear beautiful. All that is left is for you to feel beautiful, like a true QUEEN!